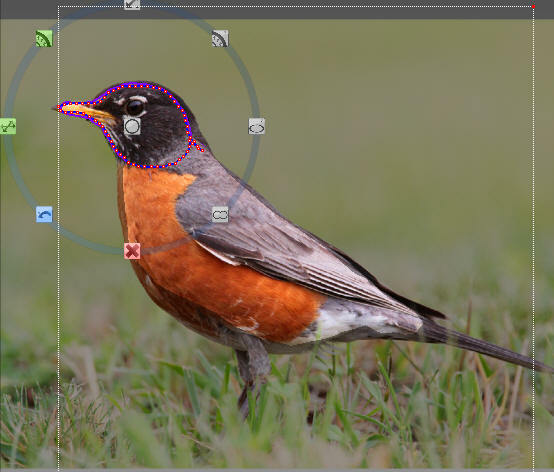 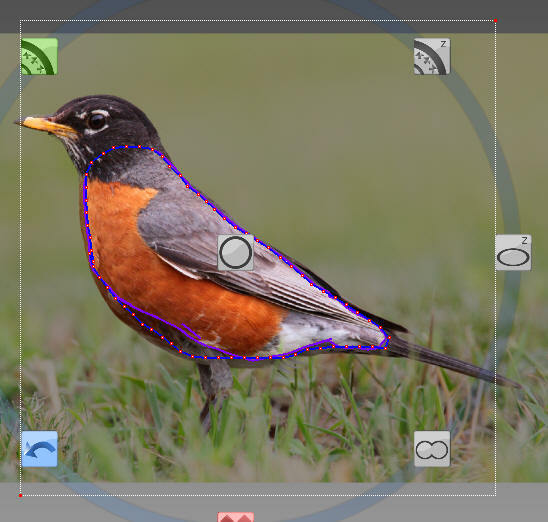 Repeat the Pencil tool and draw the body, and head and beak as separate items so that they can be animated. 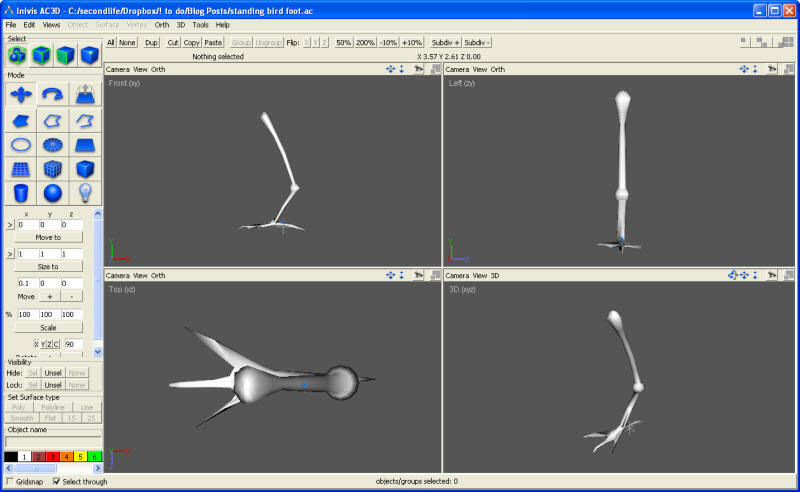 Birds feet are very tricky to make, so I am going to use a sculpted birds foot I made in AC3D. 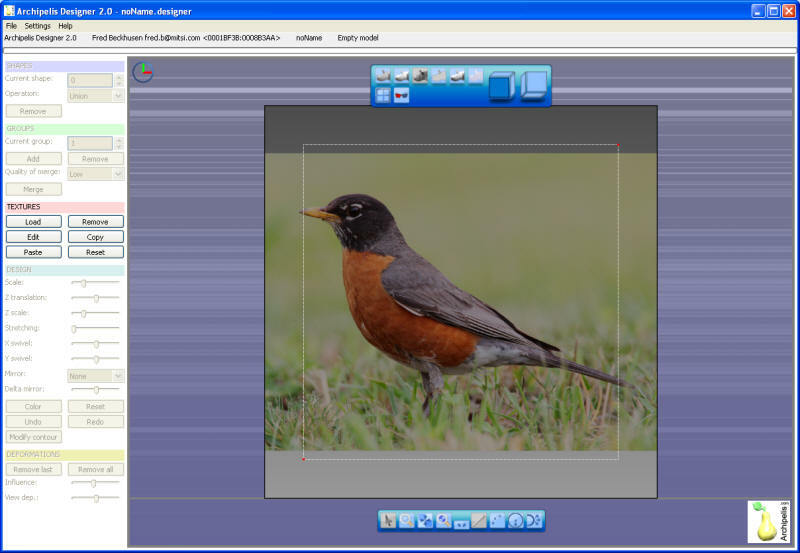 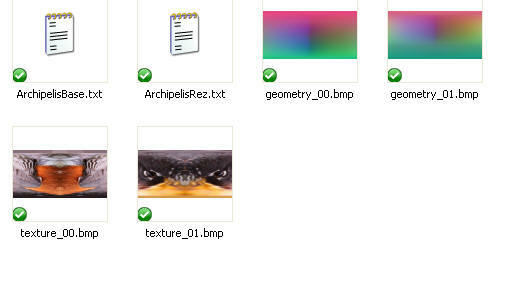 Save the bird in a new folder, and export to Second Life. You can get the sculpts, textures, scripts and the foot for this bird in this Zip file.